After hair transplant surgery, it is one of the first things you want to do – play around with your new hairstyle or look. Being excited is understandable, but for the sake of your hair and scalp, you should wait a few weeks before you start styling and using products. Give your scalp time to heal and you’ll soon be able to have almost any hairstyle you’ve dreamed of. Shampooing your hair is not usually recommended immediately following surgery. Your team will advise you further but in most cases, surgeons recommend not shampooing for at least two days. 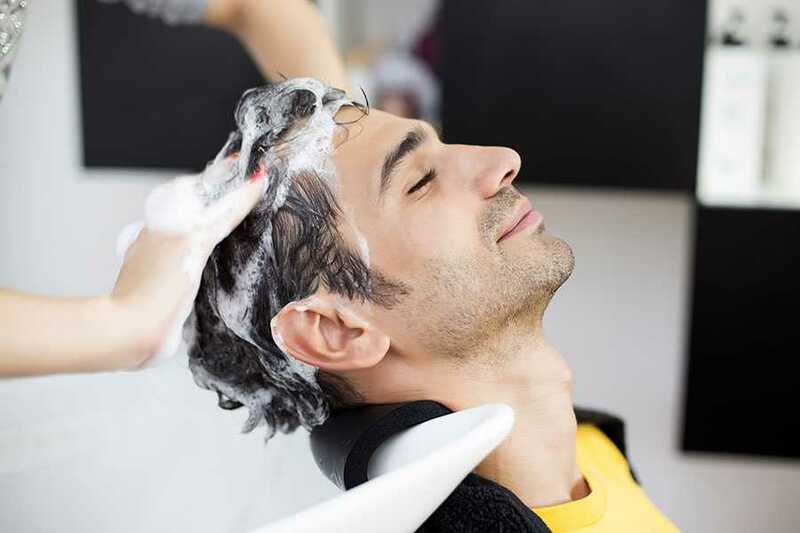 This is because shampoo, even the most gentle and sensitive type, can irritate the scalp and grafts. Remember, you want to aid the healing process as much as possible. When you have been given the go ahead to shampoo your hair, use a mild formula product for the first two weeks. Baby shampoo with no additives or harsh detergents is a great product to use. Talk to your team before using an anti-dandruff shampoo though, as some are not suitable. In the first week after treatment, it is probably best to leave your hair to dry naturally. The graft area after surgery tends to be numb, meaning you won’t feel whether the heat is too hot on your scalp or the base of your hair. This risks damaging the hair follicles as they heal. When you do start using a hair dryer again, use it on a low setting only. Many patients want to create a new look – one of the reasons why they opt for a hair transplant in the first place. However, dying your hair too quickly can lead to problems with the healing process. Always ask the team for advice, but most surgeons suggest waiting for three weeks or longer before dying your hair. Transplanted hair follicles are more sensitive and may react in unexpected ways to chemicals found in dyes and products. Your new hair will take some getting used to. It will be several months before the new hair is evident but, as your hair grows, you may find you need to change the style of your hair. You can use hairspray, gel or mousse to hold your style in place around a fortnight after surgery but always check with your surgical team when the best time to use these products is. Wait two to three weeks before having a trim but wait longer before opting for a drastically short look. As your hair grows, you can chop and changes styles to see what suits you best. If you choose the Wimpole Clinic for your hair transplant surgery, our friendly and professional team will talk you through the aftercare and styling options specific to you, along with providing aftercare that will ensure your new hair is in the best condition possible.